Even after heavy pressure from Indian side the Obama led US government agrees to sell upto eight new F 16 block 52 fighters to Pakistan, by saying the additional number of fighter jets helps Pakistan to fight against terrorism, The new F 16 foreign military sales program was earlier blocked by the US congress members, However the president office over ruled and passed the contract. US and India comes very close in recent years, India almost stopped some key projects with Russia, due to the increased Russian Chinese relationship. In case of war the US and it's allies are the only hope to help the Indians, same like in 1962. So it's the US who also accept Indian interest of not getting close to Pakistan, Earlier once India heavily opposed the American plan of gifting all the used MRAP and other armored vehicles in Afghan war to Pakistan. US assured India that they will not going to gift the used Armour vehicles to Pakistan. After that there is no good military sales was signed between US and Pakistan, however last year US sold AH 1 Z viper attack helicopter and hundreds of anti armor missiles to Pakistan, India didn't reacted about that AH 1 Z FMS deal. despite Indian signature of Ah 64 deal. When Pakistan asks US to new F 16 fighters to strike against terrorists, India heavily opposed, not only India, many US lawmakers and peoples also opposed the deal, this makes US to review the deal once again, Many of them from US congress suggested the US government to block further military assistance to Pakistan. Pakistan failed to react against terrorists, meantime they fueling them to fight against India and Afghan. It's well known that Pakistan is the birth place of world terrorism. The reason why India and many others concerned about the new F 16 sale. 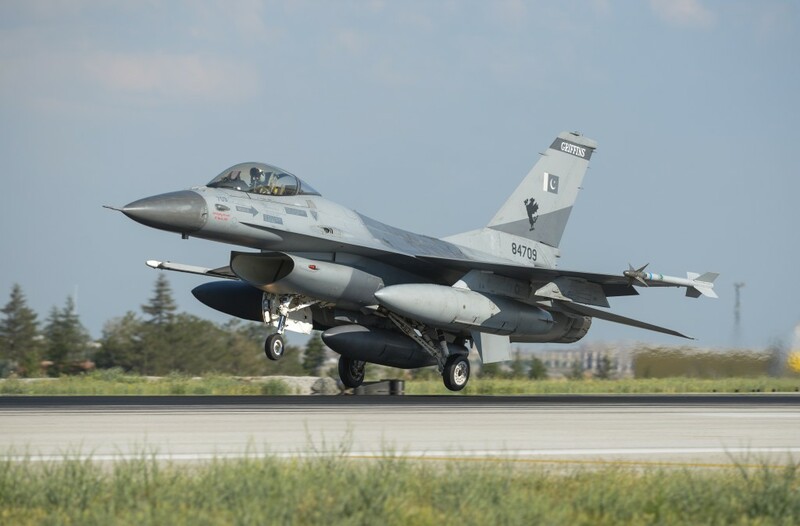 Pakistani's uses the F 16 only against India, not against terrorists, that's known to every one, Pakistan fools the International community by saying their fighter struck the Terrorists emplacements close to swat, However they failed to show evidences. Many law makers in the US congress surprised about the president's office decision of supplying the fighter jets, even after despite pressure from US Congress sponsored think tanks. The republican senators and other law makers told media, that they are going to over rule the decision and tries to block the white house decision. India also summoned US ambassador to India Richard varma, by saying "displeasure and disappointment” over Obama administration’s decision to sell F-16 fighter jets to Pakistan.“We are disappointed at the decision of the Obama administration to notify the sale of F-16 aircraft to Pakistan. We disagree with their rationale that such arms transfers help to combat terrorism.“The record of the last many years in this regard speaks for itself,” the MEA statement said. Meanwhile Indian defense minister Parrikar also said media, that they were in talks with USA to block the F 16 sale to Pakistan, by saying we still have options.